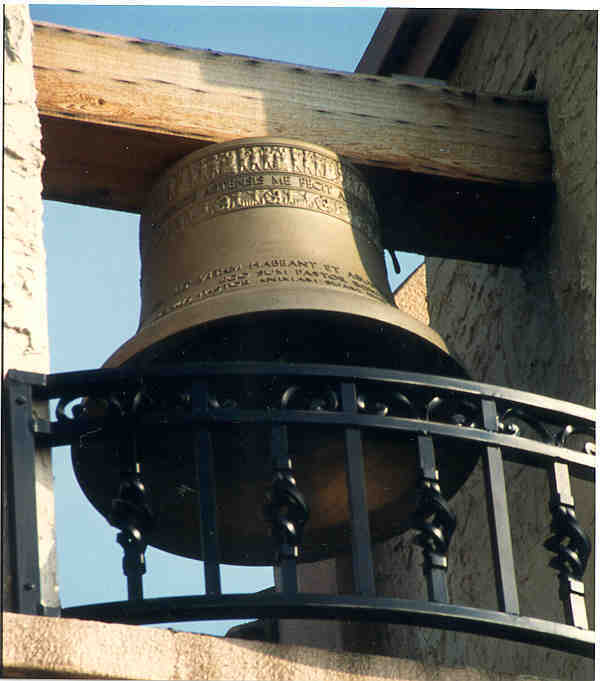 Bells can be "smooth" finish as shown on the right or provided with elaborate decoration and memorial lettering cast into the bell as shown above. 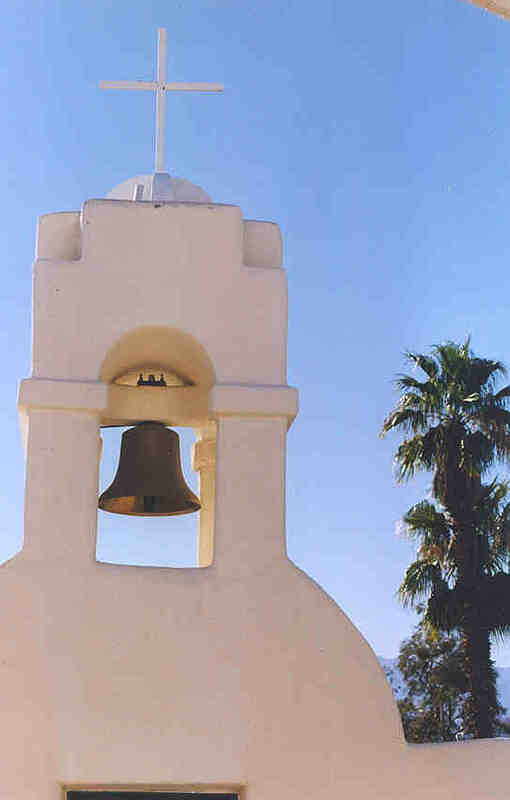 New Bells are normally provided with acoustic isolators. Similar to motor mounts, these are made of heavy-duty elastomers designed to isolate the vibration of the bell from the structure. Continuing a tradition hundreds of years old, true bronze bells are cast from molten metal to create objects of exquisite beauty. Bell metal is an alloy of copper and tin that forms a crystalline structure when cast under just the right conditions. The elasticity of the resulting metal gives the bell its "ring" which has enchanted mankind for centuries. At the hands of skilled craftspeople, the natural tones cast into the bell are tuned to create a musical chord. As shown here bells can be hung from overhead beams and rung by an internal electric Striker. For existing bells, where it is not practical to remove the old clapper, Maas-Rowe can provide external electric Strikers.